One of the most important things to understand about a brand (and I think most difficult when you’re new to the idea) is the magic stuff that makes a brand a brand. A brand is a business infused with the best bits of humanity. If it’s a personal brand, or a brand built by one or more entrepreneurs, then that humanity comes from the people who craft it. It’s THEIR unique flavor, their beliefs, their weird, their cool, that give the brand it’s magic. Businesses that aren’t brands, lack humanity. They are robotic. They lack the magic fairy dust, the x-factor that gives brands such an incredible advantage in the marketplace. This is why I advocate that we build brands instead of just businesses. Building a brand is a LONG TERM strategy. From a business point of view, all about creating a ‘Sustainable Competitive Advantage’, a business that is more popular, profitable and influential for a longer period of time. From a human point of view, building a brand means creating something you’re actually proud of and something that matters to the world. The goal is that by aligning what you sell, with what you truly believe in, and the difference you want to make in the world, marketing is more fun – so it’s easier to actually do – thus adding to the ease which with success comes. Not to mention, humans want to buy from humans. We want to invest in stories and good causes (this is EVEN MORE TRUE with the millennial consumers who are quickly developing considerable buying power), so aligning what you sell with something that matters is good for business. Building a brand is NOT EASY. Keep in mind long-term strategy means it’s not necessarily about quick wins or pleasing shareholders – brands play the long game. Fair warning, this can be VERY uncomfortable while you’re waiting to see if all your time, investment, effort and faith are paying off. It’s a nerve wracking process, and it sometimes feels like being upside down and inside out and totally crazy, all at the same time! But don’t let that scare you!! Building a brand is the path of the rebel, of the outlier… it’s hard because it’s daring and its special. You can do it because you’ve got everything it takes, right now to be successful, and you’ve got us to help. 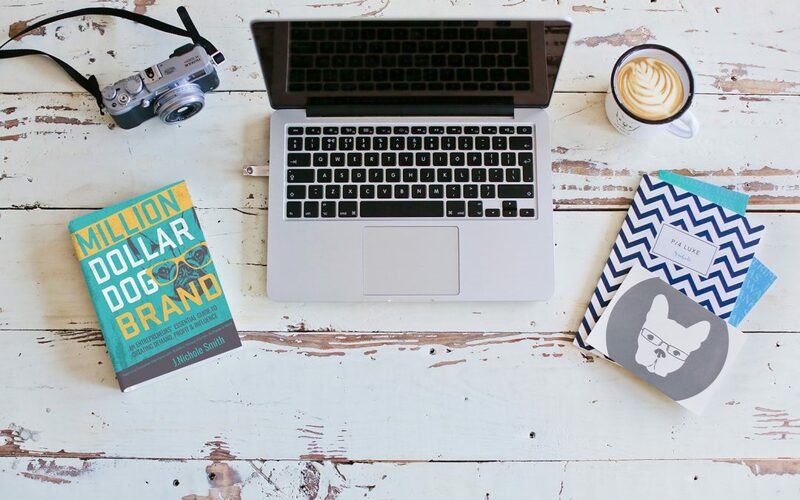 But first, let’s get clear on what makes a brand worth building. Most entrepreneurs don’t dream of years of hard, relentless work, leading to a sum-total of zero reward. But sadly, this is the way it goes for thousands and thousands of small business owners. When we see businesses on social media, in magazines, or on TV that seem to miraculously have it all figured out, or appear to have become sensations overnight, it’s hard not to feel resentful, jealous or cynical about their success, chalking it up to ‘investors’ or ‘famous friends’ – or some other ‘magic bullet’ that we simply did not have access to (thus making it easier to justify why they are successful and we’re not). Interestingly, businesses that appear to have ‘overnight success’ stories, more often than not, are actually brands. Brands that have a lot in common with each other. Of course, almost always if you look deeper you will find YEARS of unseen, unrewarded hard work and toil that went on before their ‘big break’. 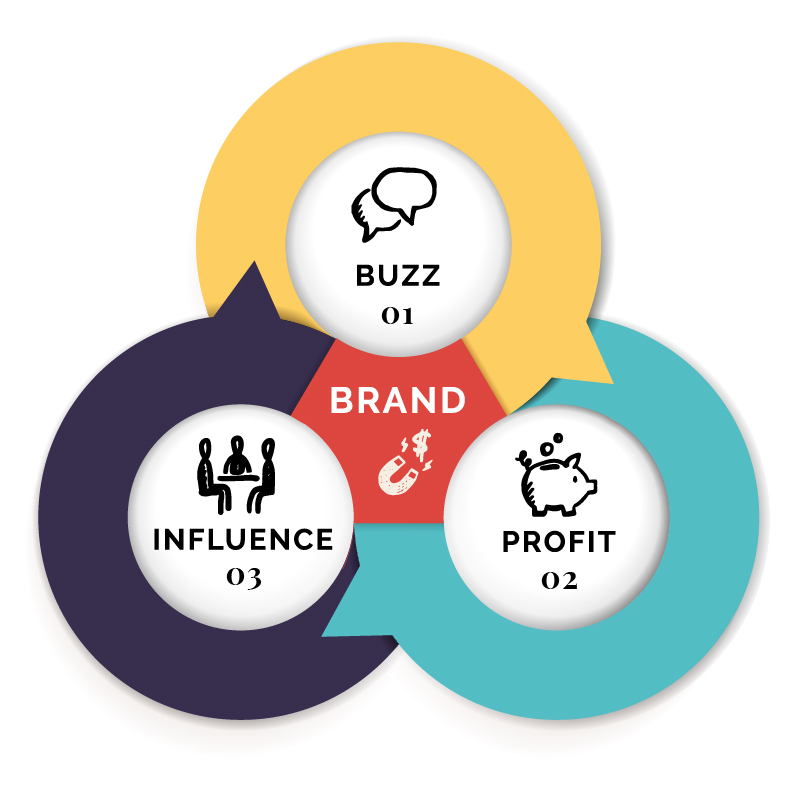 But also, through my research for the Million Dollar Dog Brand book, I uncovered a cycle of advantage that might explain what’s really going on behind these ‘magic brands’ and their ‘overnight success’. (meaning, you’re very hard to compete with for a long time) as WELL as making your business very sellable one day. All that goodness will not come overnight though… so have patience as you begin your brand building journey. A marathon, not a sprint. Figure out your why, your purpose, the change you want to create in the world – figure out what you want to FIGHT for. Drawn a line in the sand and pick a side. You can’t make change, if you don’t have an opinion. Pick an existing, free place to start building a community of people who agree with you, who believe what you believe (instagram and facebook groups are both great for relationship-building) – you want to pick somewhere you can actually engage with that community. You don’t have to brave this journey by yourself – my team and I, and our wonderful community of magic makers are here to help you. That’s it for our fourth episode of the Magic Maker podcast – welcome to the headquarters of entrepreneurs who want to do good, be real, find happy and build brands that matter. Next week, I’ll be diving more into the first step of building a brand that matters: finding your magic. Your purpose. Your why. We’ll be exploring just how and where you might be able to figure out what makes you special, and the impact you want to have. 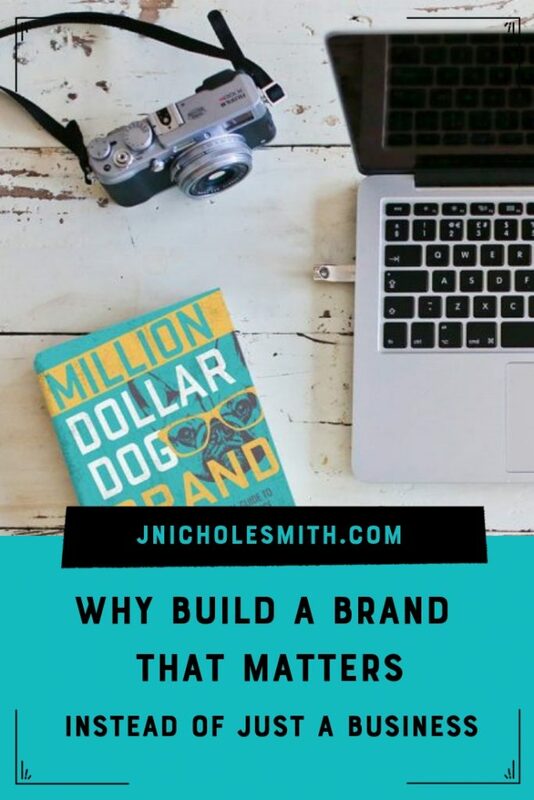 This is one of THE most popular topics when it comes to building a brand that matters, so you’ll definitely want to make sure you tune-in. If you want to make sure you don’t miss the next episode, or any for that matter, be sure to subscribe and of course, we would be so grateful if you would be willing to invest a few moments of your precious time by giving reviewing this podcast on iTunes, so we can reach more magic makers and help too, to change their lives, and the world.